Your Free Admission ($10) value gives you Free Access to all the Speakers & Exhibit Hall. Please share this event and invite your Friends. Parking is $5 for this event with validation, normally $8.Please share this event and invite your Friends. Parking is $5 for this event with validation, normally $8. Spend the day with a group of fabulous psychics, mystics, mediums, healers and visionary artists from around the world at the Psychic Fair Mission Valley. Informative, enlightening and entertaining free lectures all day long in 2 areas. Some of the speakers also give “messages from Spirit” as a part of their talk. So be sure to check out the schedule as you won’t want to miss anything. There’s always something new to learn and discover at the Psychic Fai r! At the Psychic Fair in Mission Valley, you’ll want to stop by my booth in the front of the room. 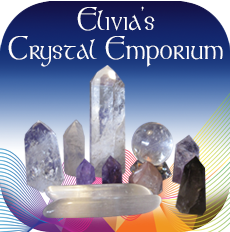 Treat yourself to a very special selection of wonderful crystals, gems, minerals, and healing stones for sale, along with the Crystal Vibrations Music. 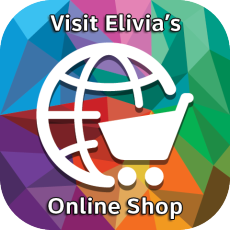 Of course, I’ll have wonderful crystal singing bowls at prices you can afford!! I also have some new singing crystal bowl carrying cases and some amazing new bowls, so come to receive a free healing sound bath that day! I always have some new and unique healing gemstones to share, so be sure to ask me what my latest discovery is! I make a point of stocking those hard to find, high energy healing crystals. I’ll also be available for psychic readings. 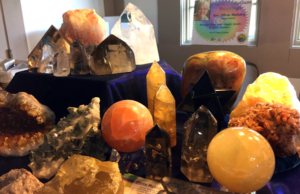 With so many gifted readers to choose from at the Psychic Fair in Mission Valley, you can have several readings while you’re at the Psychic Fair. There will also be all kinds of energy healers. You can take this opportunity to learn and experience some new healing modalities. At the Psychic Fair Mission Valley, you can learn which stones are most effective and how to work with them in ways that bring results! Explore how powerful crystals are for assisting us in 3 important areas of our lives. Learn which stones are most effective and how to work with them in ways that bring results! Go Here for a list of exhibitors, speakers, presentations & schedule for this Psychic Fair in Mission Valley.